← On This Day – January 18th 1915 – The Endurance Is Trapped. The Grave of the Southern Party. The search party continued to the point where Oates had disappeared, but despite locating his sleeping bag, no other trace of him was found. On January 21st 1913, the business of erecting the jarrah wood cross was undertaken, and it was not without incident. 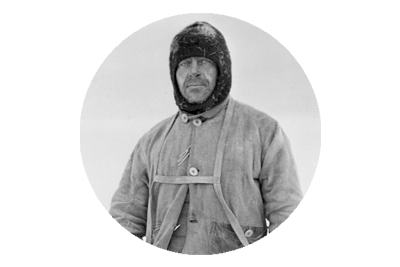 The party which consisted of Crean, Atkinson, Wright, Lashly, Keohane, Debenham, Davies and Cherry-Garrard, left the ship and began sledging the cross towards Hut Point. Wind and drift hampered their progression, as did the very unstable thawing and thinning ice. Atkinson cursed his luck when his foot went through, and into the frigid water. Almost immediately Crean plunged straight through the ice. Shocked and freezing, he was pulled to safety, and a precarious path was weaved through the melt pools and slush. 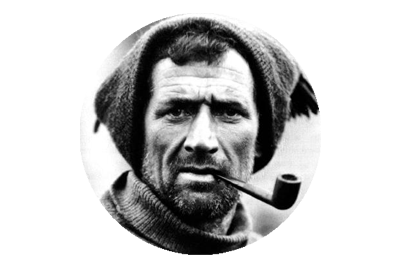 Slowly they floundered forward, when suddenly Tom Crean disappeared through the ice again, almost pulling the sledge down with him. The panicked party pulled the partly submerged sledge and stayed hauling until Crean too emerged from the icy waters. At Hut Point Crean got some dry clothes and the cross was given a coat of white paint. The following morning the men started off at 6 a.m. and began the gruelling process of dragging the cross, in sections, to the summit of Observation Hill. It was 5 p.m. before the memorial was standing, and it could even be seen by those on the Terra Nova, which was anchored, nine miles away. The cross faces out across the great ice shelf, that will forever be the tomb of the bravest of the brave – Scott, Wison, Bowers, Oates and Evans. 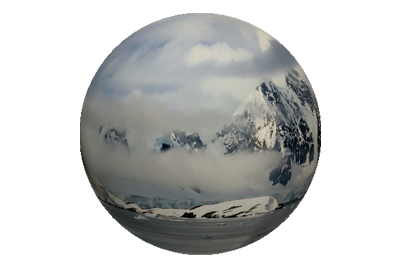 Men who had set out to reach the South Pole, and gallantly succeeded in doing so. 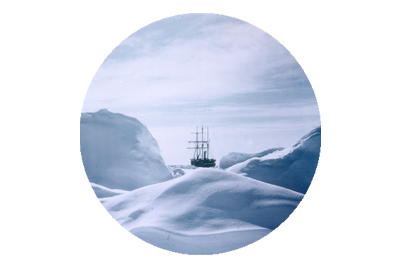 That they arrived there second to Amundsen, seems meaningless when measured against their last desperate battle. A protracted struggle to return to Cape Evans that they would ultimately lose, and pay for with their lives. All later efforts to locate Scott’s tent proved fruitless, and it is now estimated that the bodies lie under 75 feet of ice, and are situated as much as 40 miles from where the men died, such is the movement of the ice on the Barrier. Source – The Worst Journey In The World – Apsley Cherry-Gerrard.